This was the name applied to the terraced housing running along the western side of Stars Lane from the entrance to Duke of Clarence Yard all the way down to the backs of the buildings in Summerhouse Terrace. It was built between 1877 and 1886 as I have a lease for the land dated 1877 in my collection and the map on it shows the land was occupied by Stars Lane House and its gardens at that time, but by 1886 the terrace was shown on the Ordnance Survey. The first photograph below, taken from South Street, looks down to Albion Terrace at centre just past the white building on the right - the Duke of Clarence public house. At extreme right is the Gaumont cinema. 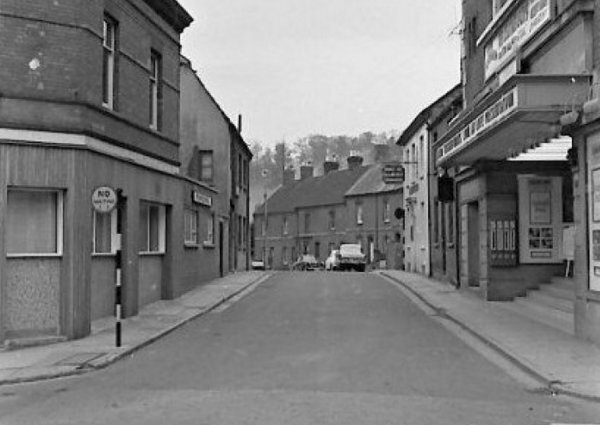 The second photograph is taken from further down Stars Lane, approximately where the 'n' in Stars Lane is on the map. Albion Terrace was demolished in the late 1960's or early 1970's - they had certainly gone by the time I lived in the Duke of Clarence building in the late 1970's - and the site is now the northeastern side of the Stars Lane car park. 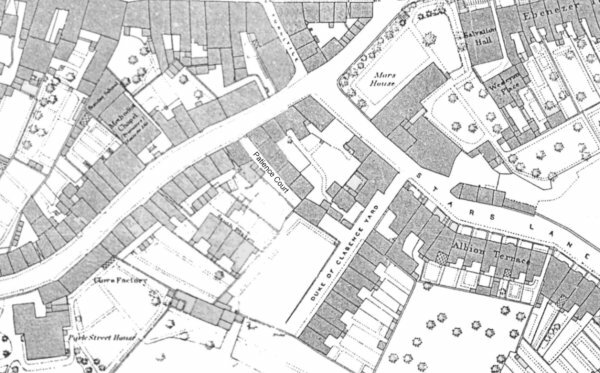 The 1886 Ordnance Survey shows Albion Terrace running along the south side of Stars Lane. The orchard to the rear of Albion Terrace would, within ten years, see Talbot Street built on it. 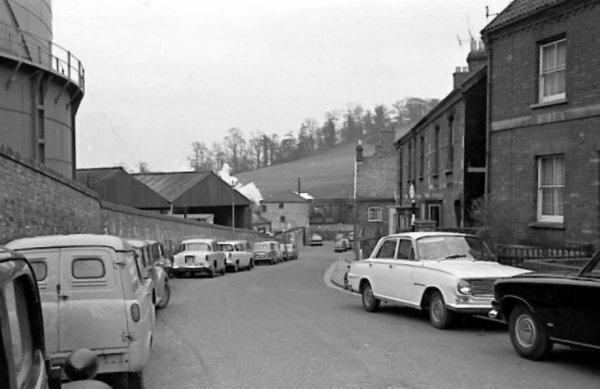 Photographed from South Street around 1960, this photograph shows the northern part of Albion Terrace at centre. Photographed at the same time, this image further down Stars Lane shows Albion Terrace at right and the gasometer at left.